← Happy 1,000 Published Posts on stenoodie.com! I say this photo reminds me of “numbers” because while we were students at U of T, we used to joke that we merely existed as “numbers” in the school repository and system. There were so many of us, undergrads at the University of Toronto, that no one really knew us as individuals unless we took the time to connect with the professors, TAs, and other students. 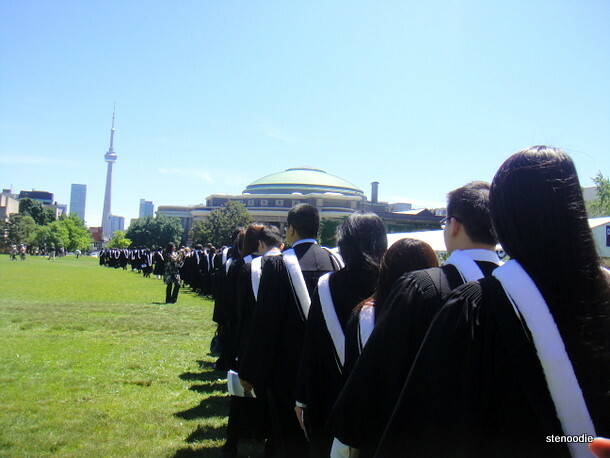 We joked about this a lot, and looking back at this photo now, it is without the snicker and cynicism, but with fondness because we were one of a million and more who had graduated from this great institution. This entry was posted in Weekly Photo Challenge and tagged convocation, numbers, postaday, students as numbers in a school, University of Toronto graduates, University of Toronto St. George campus convocation, weekly photo challenge. Bookmark the permalink. Pingback: Numbers (Gas and Electricity) | What's (in) the picture?